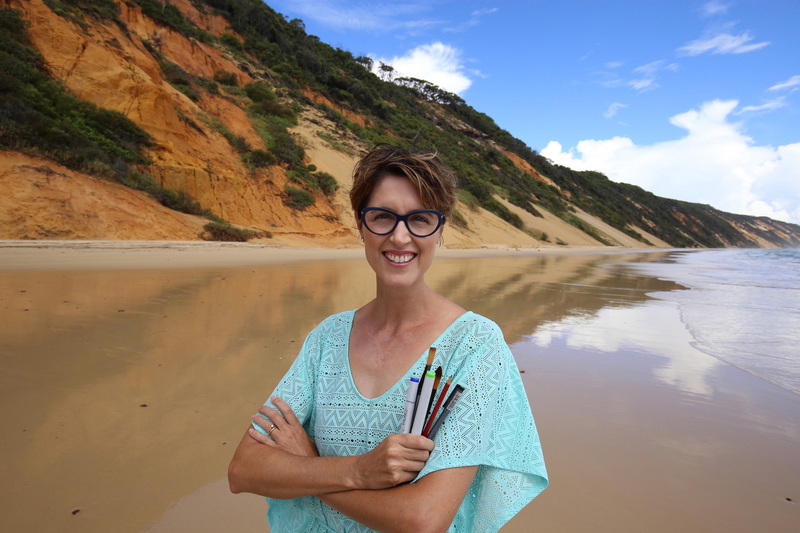 I am an Aussie marine scientist, artist, children’s author/illustrator and graphic recorder who specialises in creative and visual communications. I love to live my life in colour and believe in the power of positive storytelling. I combine my training as a marine scientist and my experience as a strategic planner with my imaginative skills as an artist to help people, teams and organisations to “Picture your ideas” through visual storytelling. 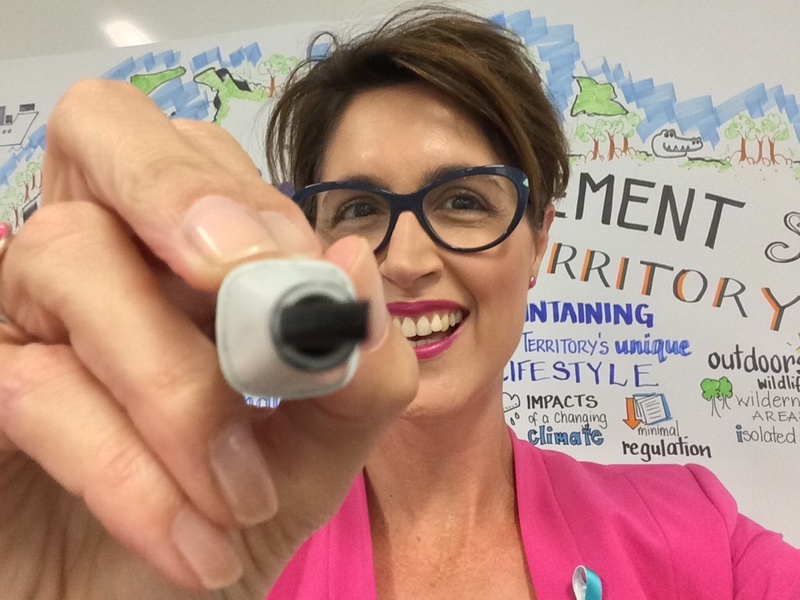 As a graphic recorder I have worked with a wide range of people and groups from indigenous communities, schools, Governments, business and industry and scientists to draw out local, regional and international ideas and issues (find out more about my Graphic Recording Services). For as long as I can remember I have always had a pen in my hand. Drawing for people is part of me, and I love that I have been able to turn something I love into something I live! 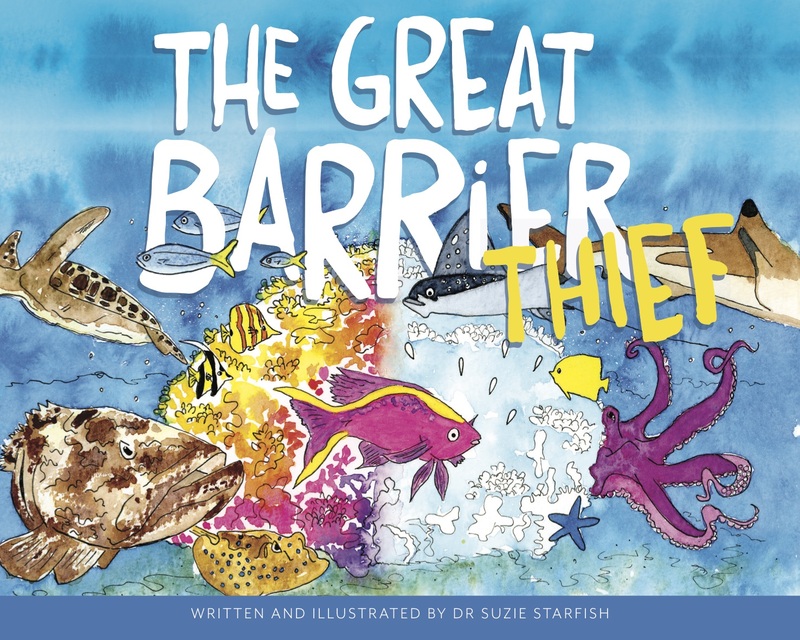 I am SO excited and proud of my first children’s picture book, “The Great Barrier Thief”, which I have written and illustrated as my alter ego Dr Suzie Starfish. 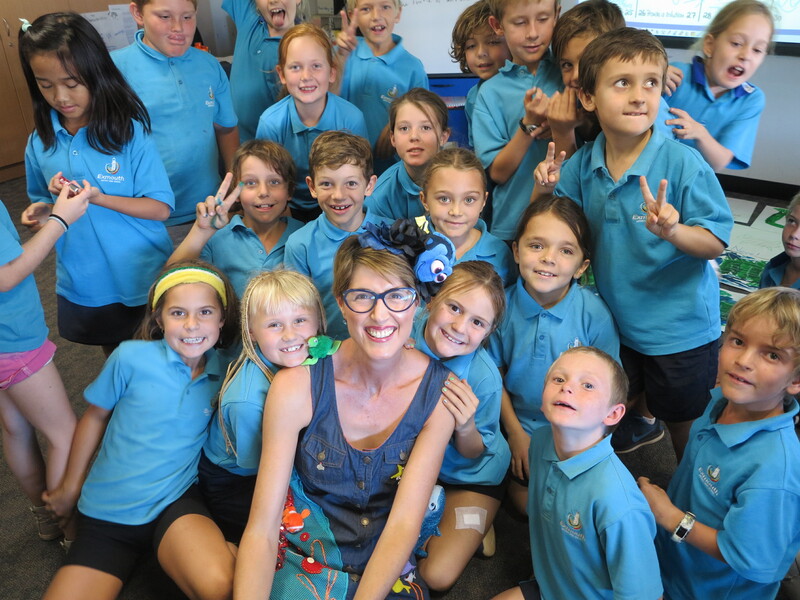 This story illustrates the impacts of climate change on our Great Barrier Reef and gives children (and all readers) hope that WE can all do something to help protect and save the Reef, if we can cool things down NOW! AND as you can ‘sea’ below I’m VERY excited that my series of ocean-science stories for children continues with a new picture book deal to publish “Cranky Frankie: Oceans of Trash“! 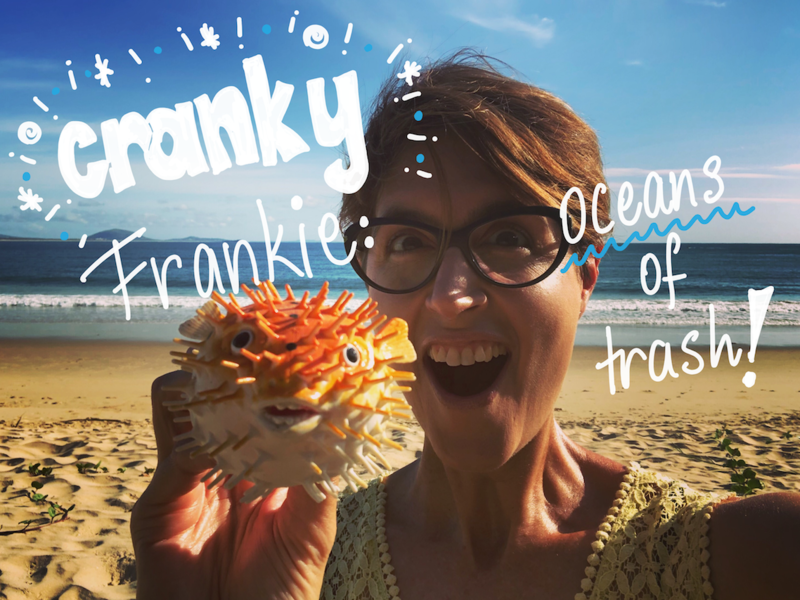 This story will draw attention to the impacts of marine debris and ocean plastic pollution, seen through the eyes of a very cranky Porcupine fish named Frankie! Stay tuned over on my Picture Books page for updates on the creation and release of this story. 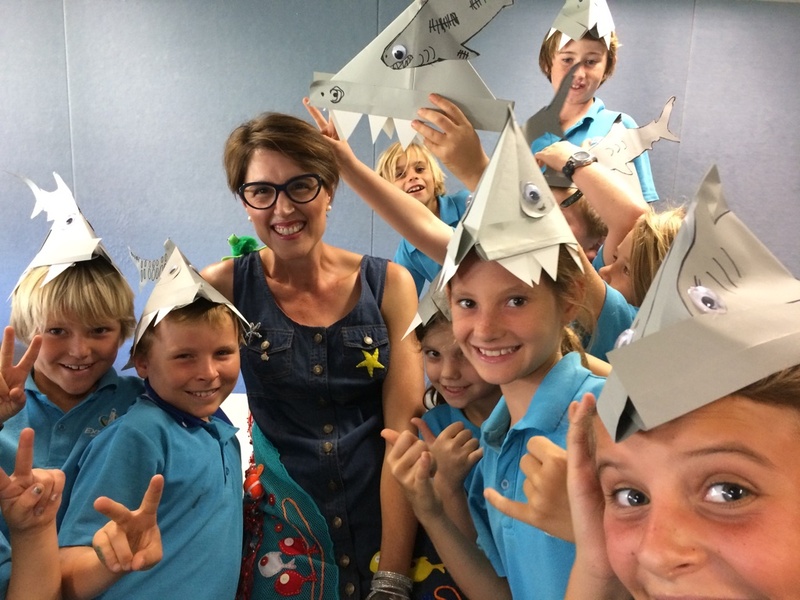 One of my greatest joys is visiting schools as my alter ego Dr Suzie Starfish! I have over 15 years experience in research and development, marine conservation planning, natural resource management and strategic planning due to the varied roles I have held across Government and Research Organisations. I have led the development of public policies across numerous priority portfolios including agriculture, regional economic development and transport planning with specialities in Marine Park planning, aquaculture industry development and natural resource management. I have a PhD in Marine Science from the University of Queensland in Brisbane, Australia, where I am also an adjunct Research Fellow in the Centre of Biodiversity and Conservation Science. I also draw upon my professional and research experiences and creative skills to help “Picture your ideas” through visual storytelling Workshops. 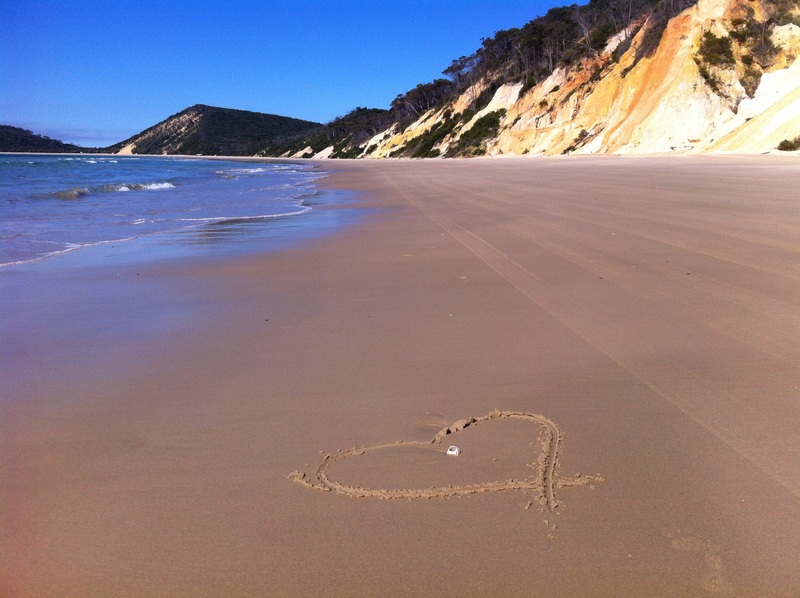 My favourite place somewhere over the Rainbow and where I get my Vitamin Sea! 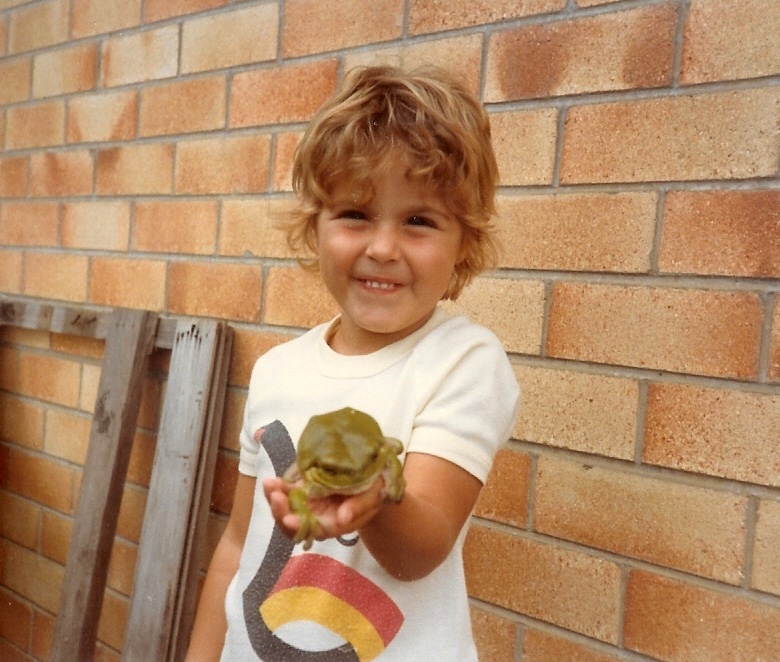 I was brought up in regional Queensland, Australia and have always had a deep love, fascination and devotion for the ocean. Beach time, snorkelling, drawing, doodling and creating quirky characters are my fondest memories growing up which probably led to my alter ego Dr Suzie Starfish, who shares marine art and science storytelling. So you could say I have always been ‘drawn’ to the ocean!! I started drawing and writing stories, even actual picture book storyboards, from a very young age. 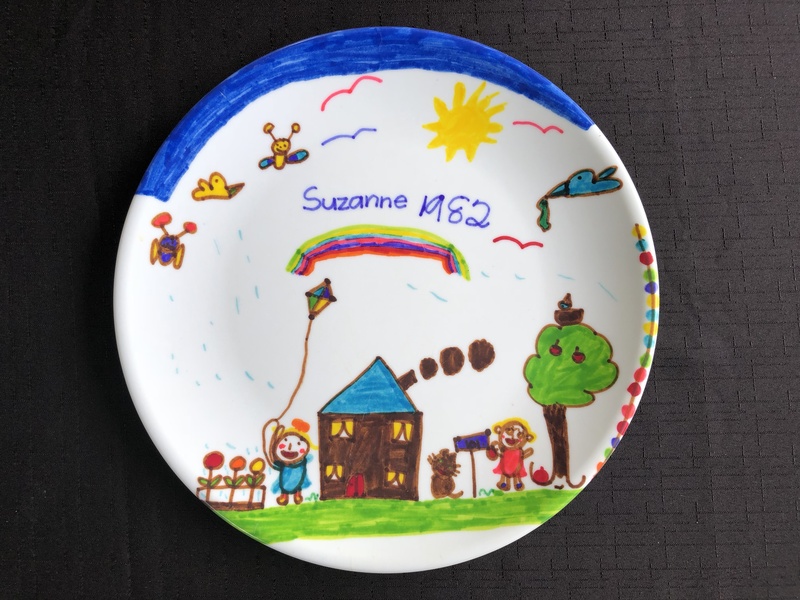 And who remembers doing the drawings to make these plastic plates which I did in Grade 1 when I was 6 years old, making this plate almost 40 years old!! 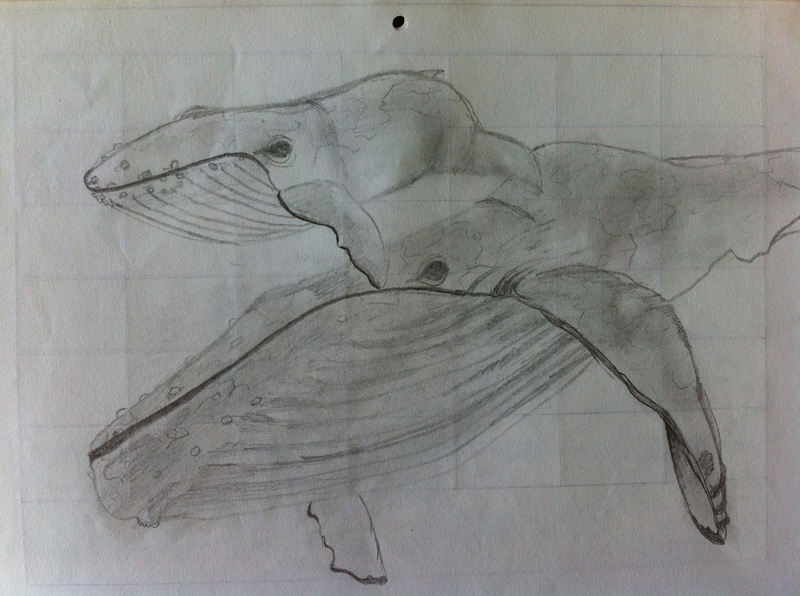 A drawing I did back in early primary school showing I have always been ‘drawn’ to the ocean! That’s ME swimming with the biggest shark in the sea!! What a BIG beautiful Blue Planet we have! 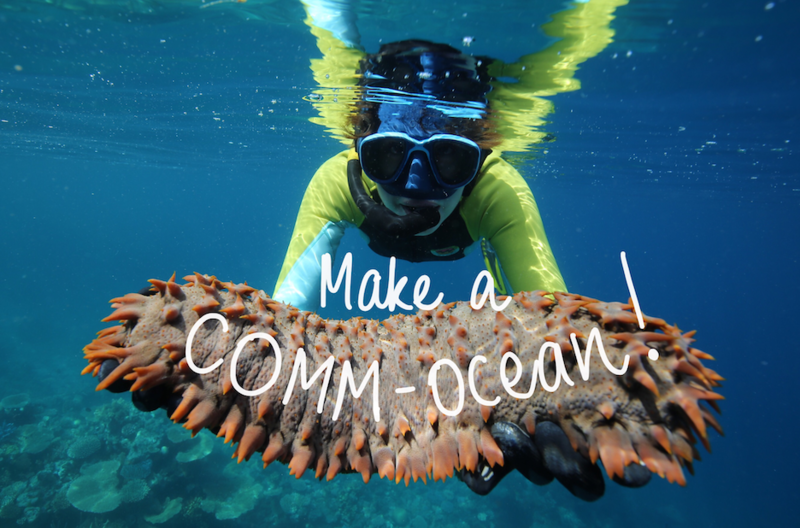 To be passionate about our Blue Planet and the world around us you also have to be passionate about genuinely engaging and communicating with people as it is people’s activities and impacts we manage and educate about, not ocean creatures and habitats. 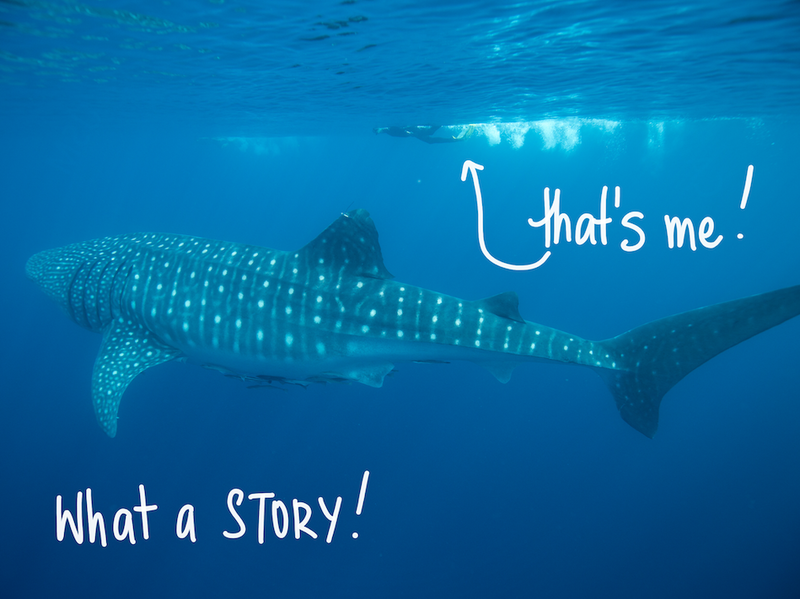 I believe through creative communication we can inform, inspire and illustrate how we can learn, live and love our ecosystems and “sea” the big picture. So my marine mantra, my Comm-Ocean, is if you understand and love it you may be more moved to look after and protect it. So dive in with me as Dr Suzie Starfish to explore the wonders of the underwater world. *Artists Impressum: Intellectual Property and Copyright of the visual products, artworks, stories and images on this website are retained by the artist and images may not be used or altered without written permission from the artist as per Australian Copyright Law. Copyright © 2019 Dr Sue Pillans. Thank you so much Kaye! Geoff is a genius website designer. Thank you Kate! I’m looking forward to a great 2016! Really impressed with your website Sue – and your amazing work! Thank you so much Flora! I really love ‘picturing ideas’ with people.